Why are we conducting the Campaign at this time? Your leaders feel a sense of urgency. Water incursion can destroy older buildings. We can see the damage already on the walls and in the cloisters. Pieces of stone have fallen from the ceiling. Nothing of a major effort has been done in forty years. We cannot wait any longer. How urgent is it that we take action now? The architects who studied our buildings (the Chapel consists of seven individual sections) have discovered serious problems. Some restoration cannot wait, and the Vestry has authorized $155,000 for emergency repairs in what we are calling Phase One of this project (see below). Will everyone be asked to contribute to the Campaign? Yes, everyone will be asked but each member or family must make a decision as to what they can do. We would love to have 100% of our congregation give something to this important project, particularly as we go to outside people and foundations for help. Can I switch some of my regular weekly offering to the Campaign? No, this will not help us. We need the regular weekly financial support of our members to allow us to continue our vital ministries. Gifts to the Campaign need to be "above and beyond" gifts. Some might see their regular giving as a sharing of their annual income; gifts to the Campaign as a sharing of savings or invested income. However you determine an appropriate gift will be your proper response to this Appeal. Will I be expected to make a gift all at the same time? No, the campaign will cover a 36-month time period and will embrace four calendar years. This will make it possible for members to spread their gifts out over the length of the campaign. We hope that members might give an initial contribution with their commitment with other gifts to follow. The work needs to start now. Will someone call on me in my home to discuss the Campaign and my gift? Yes, that is our intention. You will be contacted to see if you will let one of our trained member-visitors call on you. We anticipate also having some sessions where people can come to the Chapel and meet someone at the Chapel to discuss a gift commitment. Can I make a gift with stocks or securities, annuity disbursements, or a planned gift? Any form of gift that is cash or a negotiable security can be given. Planned gifts are most appreciated for building a Chapel endowment, but such gifts generally would not help us with this capital campaign for our urgent restoration needs. We will acknowledge all gifts in a timely manner to provide a record for tax purposes. We anticipate that we will acknowledge larger gifts with an appropriate plaque. 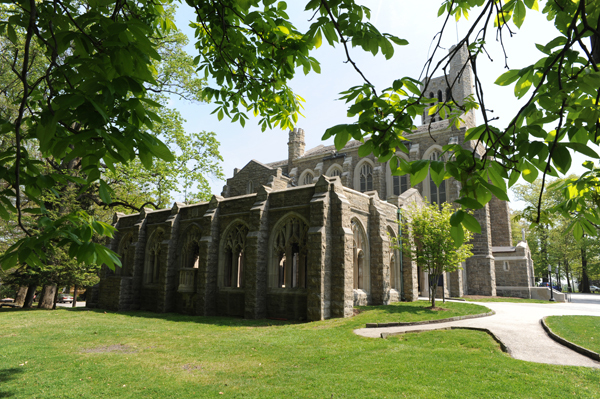 Gifts of $50,000 or more will give the donor an opportunity to identify with a specific portion of the Chapel (for example, a gift of $100,000 will give naming rights for a stained-glass window). What specifically will be done with my gift? Will this Campaign improve Patriots Hall or Defenders Gate? 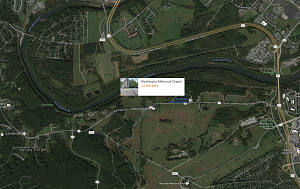 .This is our moment … please helps us preserve Washington Memorial Chapel!